Whimsey Bridge was the name given when the canals were first cut, late in the 18th century. (There was also once a Whimsey Colliery.) 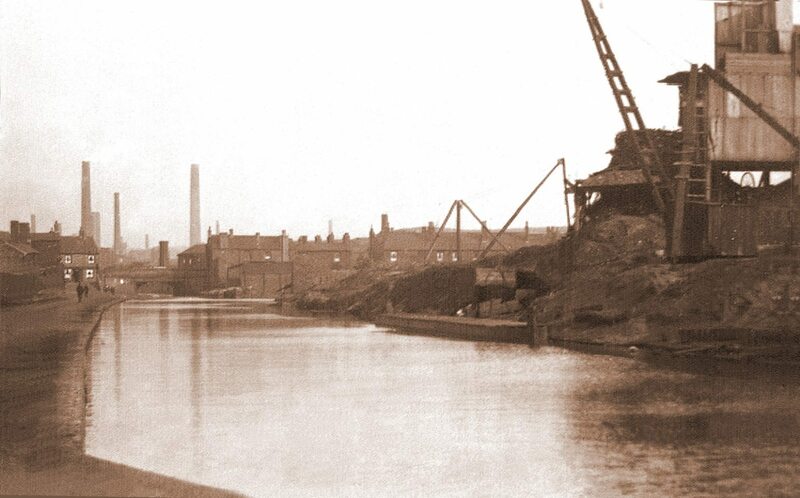 One hundred years ago it would have been a hive of activity with canal barges delivering raw materials and taking the finished products to and fro. 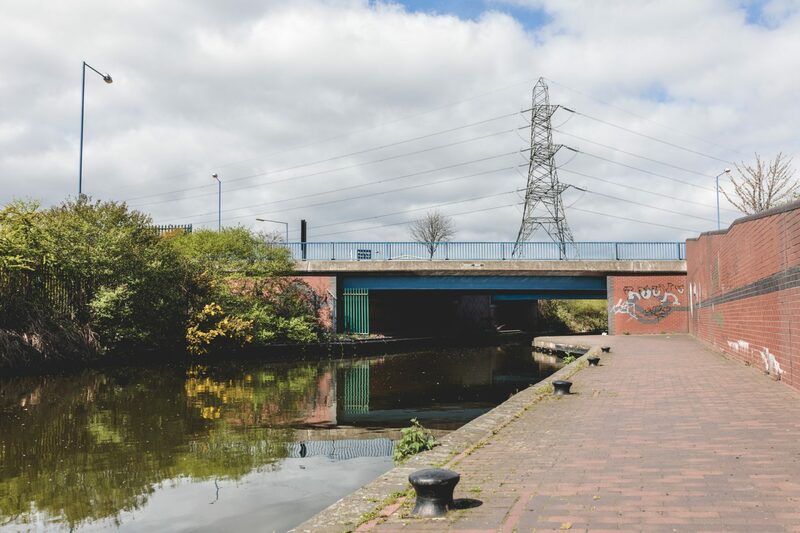 Close by you would find a brick works, a steel tube works, a glass works and iron works, along with cottages alongside the canal. 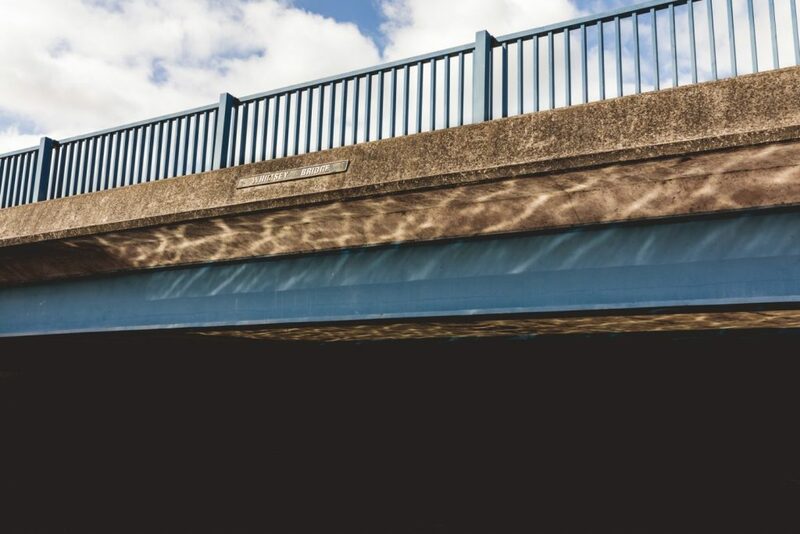 Today the bridge carries traffic from the M5 junction along Churchbridge Road towards Savacentre, a Mecca Bingo Hall on one side of the roundabout and a Macdonalds on the road. Whimsey Bridge (Halesowen Street), 1968. 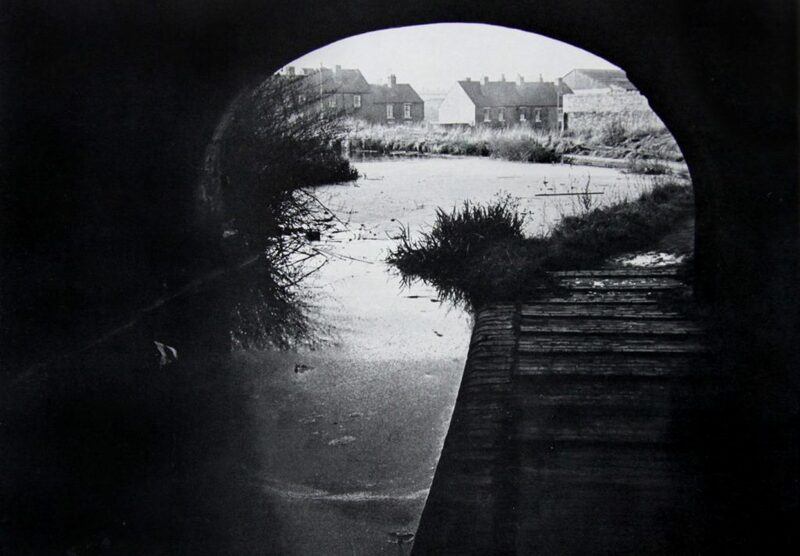 Photograph by L. Jones, Smethwick local History Society. Whimsey Bridge carrying the Churchbridge Road. 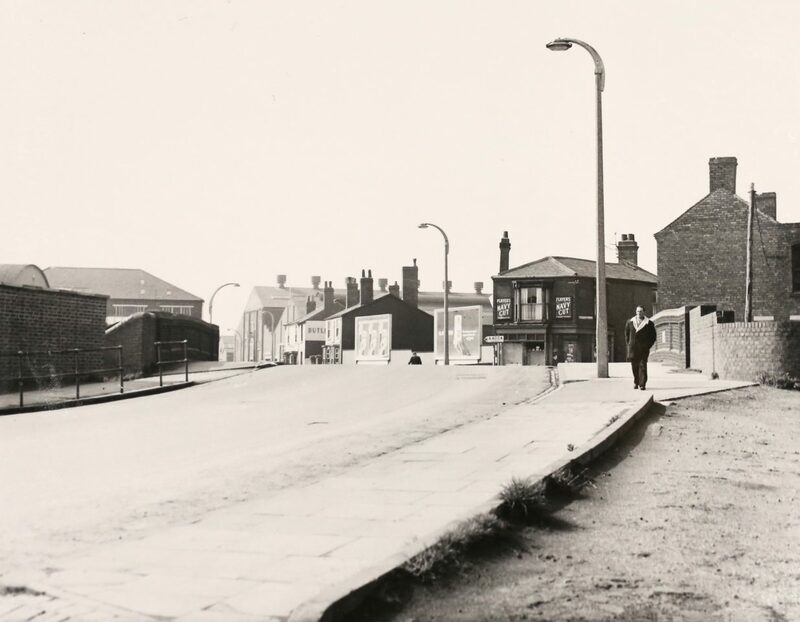 Portway Road and Whimsey Bridge, 1950. “Me Dad used to be a canal boatman and a dredger man. He’d load the boats up with sludge and take it to the Rattlechains tip, and they used to have to wheel it out with a barrow and throw it down the tip. And they had to load the barrow with scoops to get to the bottom of the boat. They wheeled it across this plank and the plank would be bouncing up and down as they went across. It was quite an achievement to do. That was calcium phosphate residue. The next thing I remember is the Gower tip. They used to load it into tubs – half a ton, maybe a ton. A little pony pulled it up the lines to the top of the tip. When he got so far up the lines he would step out and the tube would roll past him. I had to take the hook off him so the truck wouldn’t drag the pony. Then I pulled a switch to tip the tub over and the pony would turn round. I’d hook him on the back and say ‘Go on Billy’, and he’d go down on his own. So far down, we’d take the hook off again and let the truck run down and there’d be another one waiting there to go back up. There were about four tubs, and we used to keep on doing that ’til the tender boat was empty. - Frank Hadley, from a photocopy in the archives, original source unknown. 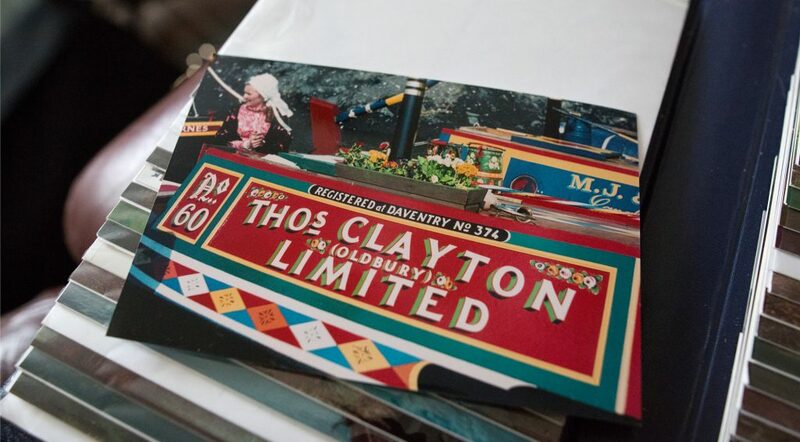 One of the best known local canal carrying companies was Thomas Clayton (Oldbury) Ltd. 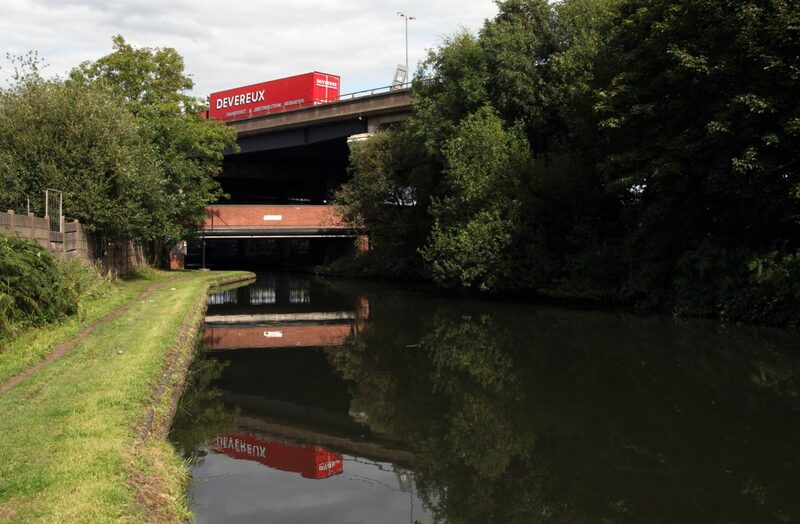 They were formed in 1889 as the result of a merger between the carriers Fellows, Morton & Company, and William Clayton of Saltley, Birmingham - one of the largest canal operators on the Birmingham Canal Navigations. 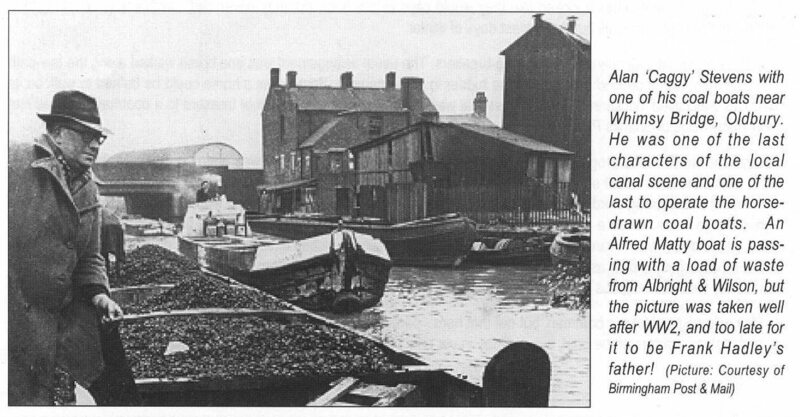 Clayton's had docks at a wharf off Stone Street on the BCN Old Line canal. Their fleet of boats were often referred to as ‘gas’ or ‘tar’ boats and decorated with the company markings of distinct cabbage-like roses (known as ‘Clayton Cabbages’). 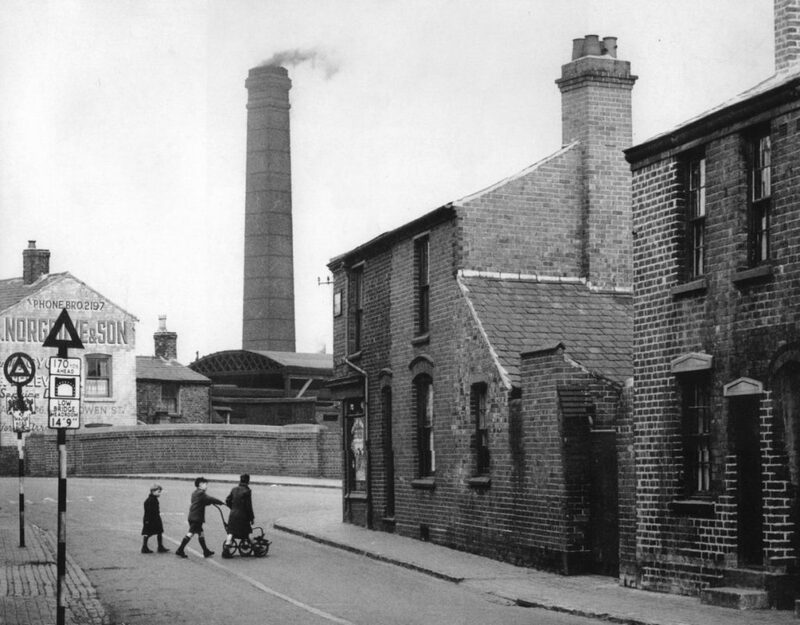 They carried a variety of bulk liquids from the local gasworks to distillation and chemical companies, to make such products as fertiliser and tar. All the boats were named after rivers alphabetically, according to the year they were built. 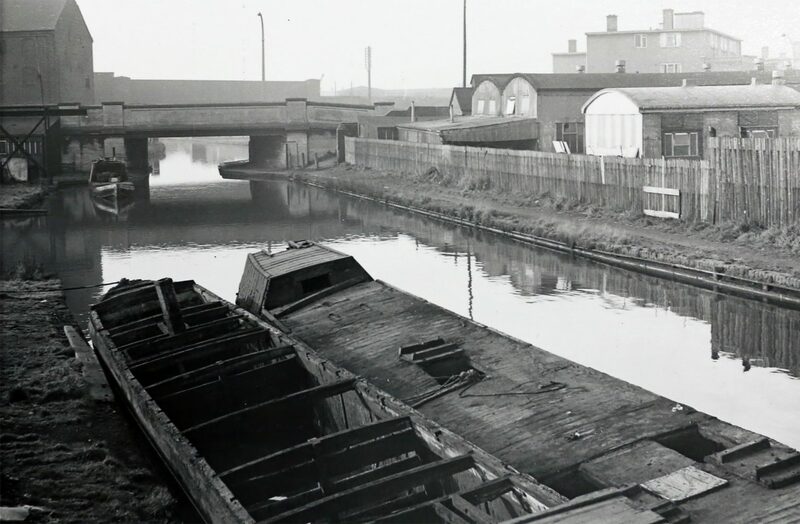 They were also nicknamed ‘oil boats’ due to the fact that they won their largest contract to carry oil for Shell Max and BP from Ellesmere Port to Oldbury. The company ceased in 1966 when a new motorway was built through their Oldbury dock. Looking towards Stone Street and Tat Bank Road, Low Town flats upper right and Thomas Clayton offices on the upper left. Photograph by Len Jones, 1967. The same scene today, 2017. Thomas William King was a toll collector for Birmingham Canal Navigations and keen photographer of the canals he worked on. 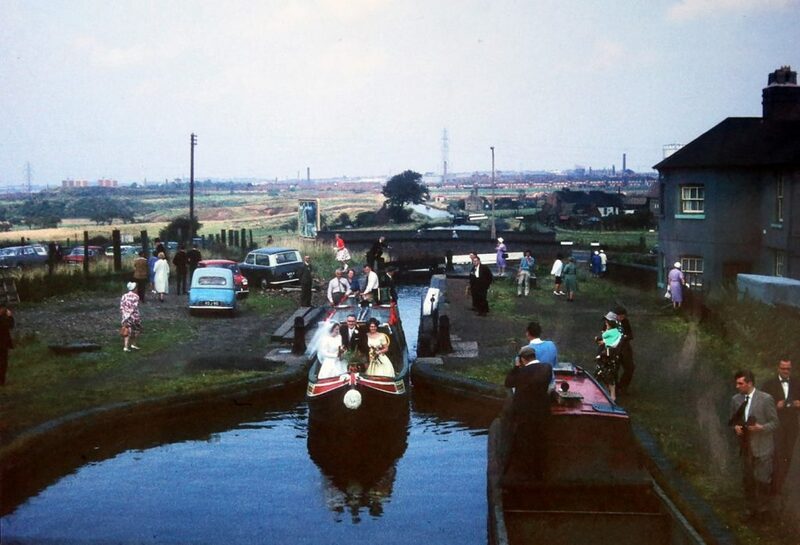 Ruth Collins was brought up in the Toll Keeper’s House at Brades Locks, Oldbury. 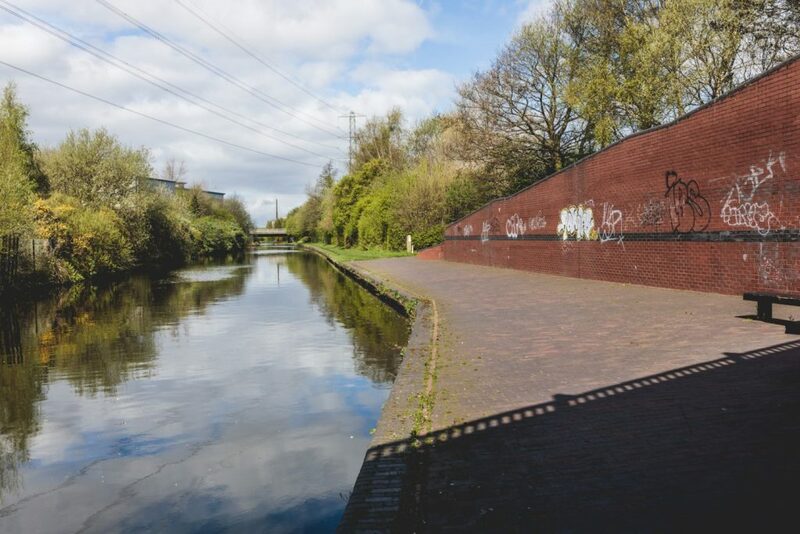 First constructed in 1837, the canal once served the collieries on the Rowley Hills, and Pratt's Brickyard, as well as the factories and maltings in Langley.